I am loving leopard, leather, and thigh-high boots this season. (*hint hint* on an upcoming blog post... ) :) This look is a casual, chic, and ridiculously comfortable way to stay warm as the days get shorter and colder. These AOS coated skinnys from Nordstrom are amazing and so stretchy! I never knew coated jeans could be that comfortable. And don't get my started on these boots, I've been wanting the Stuart Weitzman 5050 Boots after seeing them on many of my favorite bloggers, but could not bring myself to spend that much on a pair of boots. Then this season, these Chinese Laundry boots came along and I love them. Jacket: Lightweight Anorak with Drawstring Waist thanks to Debs. Steal: Lightweight Anorak with Drawstring Waist from Debs. 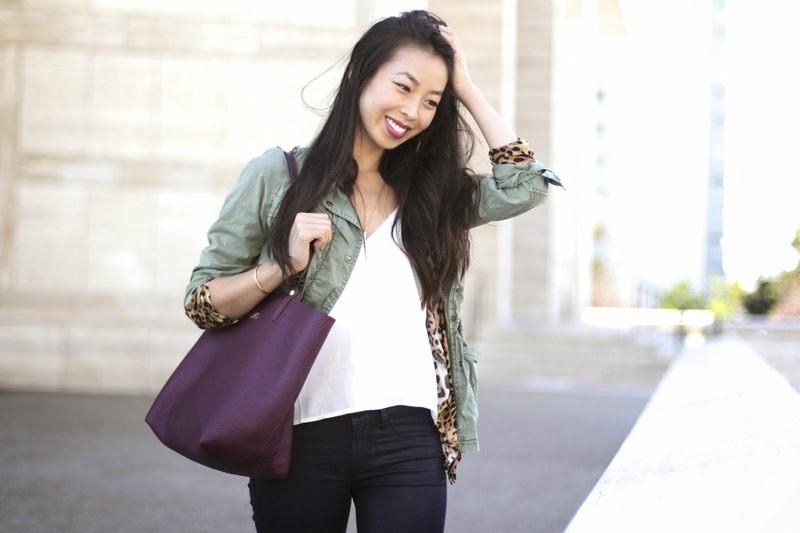 Splurge: Long Field Jacket in Mossy Brown from J.Crew. 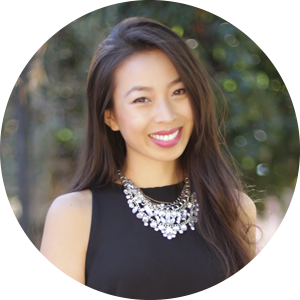 Top: Strappy V-Neck Cami in White thanks to Dailylook. Steal: Strappy V-Neck Cami in White from Dailylook. Splurge: Banana Republic V-Neck Top. Steal: Leopard Cardigan from Kiki LaRue. Splurge: Olive & Oak Leopard Pattern V-Neck Cardigan from Nordstorm. Jeans: Mya Coated Skinny Jeans in Dark Blue thanks to Articles of Society. Steal: Articles of Society Mya Coated Skinny Jeans in Dark Blue from Nordstrom. Necklace: Personalized Long Lean Necklace thanks to Thought Blossoms. 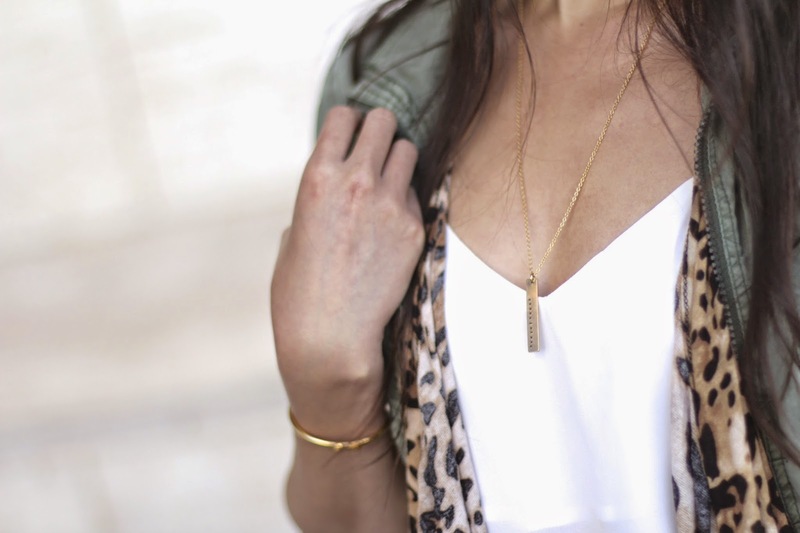 Steal: Personalized Long Lean Necklace from Thought Blossoms. Splurge: Argento Vivo Personalized Script Name with Heart Necklace from Nordstrom. 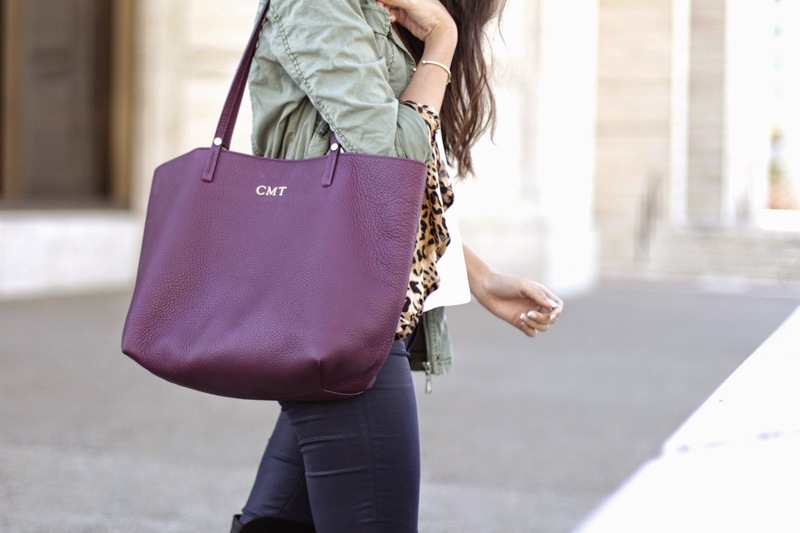 Purse: Tori Tote in Wine thanks to GiGi New York. Steal: Drop Lock Winged Tote in Wine from DailyLook. 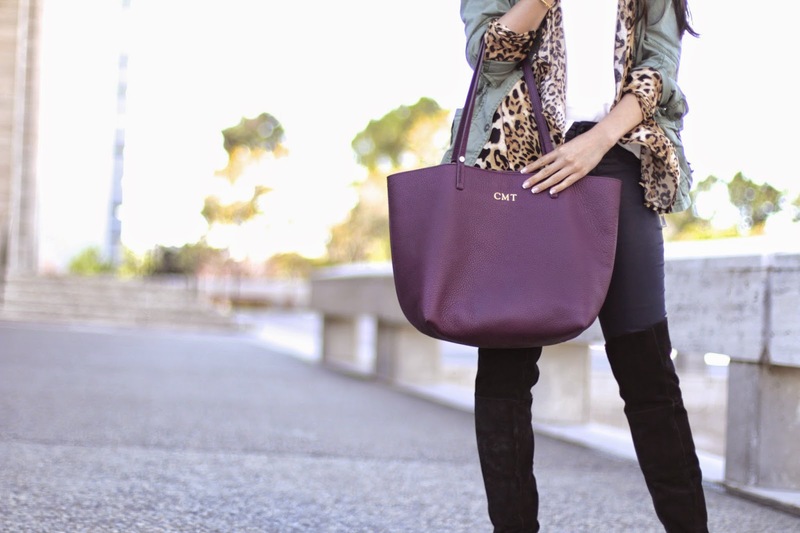 Splurge: Tori Tote in Wine thanks to GiGi New York. Shoes: Chinese Laundry Riley Thigh High Boot in Black Suede thanks to Dailylook. Steal: Chinese Laundry Riley Thigh High Boot in Black Suede from Dailylook. 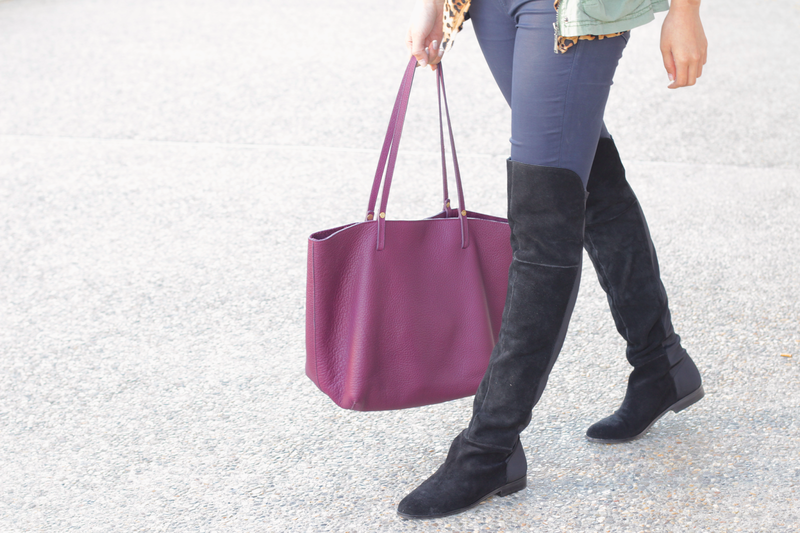 Splurge: Stuart Weitzman 5050 Boots from Piperlime.